Classroom management in the music classroom can be a challenge during holidays. When I say “monsters,” I don’t mean real monsters. I mean how to manage the students when there’s a full moon or Halloween … anytime actually! For me, it’s easy to get caught up in lesson planning, program planning, practicing, arranging the room, and scheduling practices and events. Classroom management is the LAST thing I want to think about, but the advice I hear the most from of my regular ed friends is that classrooms run smoother and teacher stress is less when classroom management is addressed. (And I did NOT intend for that to rhyme!) So here’s my thoughts on how to manage monsters in your classroom. I hear a lot of talk going on lately about how kids are changing. There’s “change their growth mindset,” “power teaching,” “whole brain teaching,” “mindful teaching,” and a slew of other plans and ideas. So I thought I’d share four things that I use in my classroom (alongside these other ideologies) to help you manage the monsters in your classroom during the month of October. What happens when we make a poor choice? How can we make good choices? A visual and clear list of rules is very important. How many warnings will you give your students before applying a consequence? Do you give out the consequence immediately? Do you talk to the student first or afterward? These are important questions to ask yourself before you implement any kind of plan. One thing I like to do is to “sing” the rules instead of “say” them. I have found that students respond very calmly and cooperatively to the singing voice. Don’t worry if you don’t have a great voice! They will believe it when you sing it! I use A LOT of songs and silent signs to get students’ attention. Making rules and procedures fun is another way to manage monsters in your classroom. Below are links to a Line Up & Brain Break Chants and Songs and an adorable set of Manners and Classroom Rules Posters. Just click on the graphics to learn more. I have my “tools and props” prepared ahead of time and easily accessible. I have my instruments set out in buckets. I have the projector on when they come in the room. I have my music or other materials organized on the table or in drawers. All I have to do is “teach.” Below is a photo of my “worksheet” drawers. The crayons and pencils are stacked above in small cups for easy student use. I love these open shelves where I can stack my flash cards, games, and instruments. These organizational tips are some ways on how to manage monsters in your classroom. I’m a visual learner and so I tend to create and use tools that are very “visual.” I came up with these “magic” tools to help my students use their eyes, ears, hands, and feet to help them stay attentive. When I ask students to use their “magic glasses,” I have their immediate attention. I pretend to put on magic glasses or magic shoes or wipe magic glue on my feet. This not only gets my student’s attention, it gives them something to do. It’s a positive way to manage hands, feet, eyes, and ears. I use a lot of visuals, and these “magic” tools have come in handy. Magic tools are another idea to manage monsters in your classroom. If my students are messing around instead of doing what they are supposed to do, I’ll say; “Let’s get out our magic music glasses and check out this instrument over here. Why, what’s going on with this instrument?” When everyone puts on their magic music glasses, we all see the same thing! It’s a great tool to manage monsters. You can find out more about this technique by clicking on the graphic below. I also create playlists on YouTube so that I have the lessons ready to go. It’s another way to manage monsters in your classroom. Below is a list showing some of the songs on my YouTube Halloween Sing-A-Long list. In addition, if you subscribe to my resource library, you’ll get these two HALLOWEEN FREEBIES! I think every teacher has a special “superpower” they can call on to help in difficult situations. It may be a great sense of humor, the ability to make up silly songs that diffuse a situation, a winning smile, or the ability to hug kids and make them feel great. Whatever your superpower might be, it is important to find it and use it freely! It really helps to have my superpower ready on the days I know it’s going to be hard to manage the monsters. I find that if I’m comfortable and calm with my lessons and communication and have confidence in my classroom management plan, I’m much better equipped to handle the times when the “monsters” come out. It’s good to have “tricks” up your sleeve to either diffuse or correct a difficult situation so that the class can move on! It’s another idea on how to manage monsters in your classroom! I like to set up little competitions between classes of the same grade level. What’s really cool is that the classroom teachers LOVE this too! They check to see where their class is in relationship to the other classes. It’s super effective. Basically, the class gets 1 to 3 stickers for good behavior. The amount of stickers depends on how good the class is. If one student makes a poor choice, the class might only get one sticker. If more than one student makes poor choices, then the class doesn’t get any stickers. This simple chart has more POWER than any words I might say. It works because it requires ACTION, and ACTION gives you power. 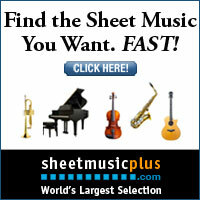 These types of competitions can really change my game in the music classroom. It’s also a very positive way to reward good choices. Classes that go the extra mile might earn 2 to 3 stickers in one class time. When a class receives 10 stickers, they get a reward day. At the end of the competition, I’ll give the winning class a “free day” where they get to choose the music activity! This is my way to proactively hedge against having to manage monsters in my classroom. It works really well for a short time period, such as the three weeks before a break or a concert or right before the holidays. Examples of my Super Star Reward Charts are below. If you’d like a full copy of these charts, all you need to do is subscribe to the Free Resource Library! I also use wrist bands, brag tags, and little stickers to reward students and motivate them to keep doing their best. I’ll call out “reward ticket” if a student is doing a great job on their music skills or behavior. Then at the end of class, students get the tickets out of a little basket by the door. You can get copies of my wrist bands and brag tags by clicking on the graphic below. An honest appraisal is a good thing for students to learn how to do. If enables them to see where they are, where they came from, and where they need to go—great skills to develop for all of us teachers too! I know that if I have the VISUAL tools and the MENTAL attitude in the right place, I can manage monsters in my classroom. It is not in my power to “make” students do anything. Instead, I want to motivate and cultivate a climate of learning. 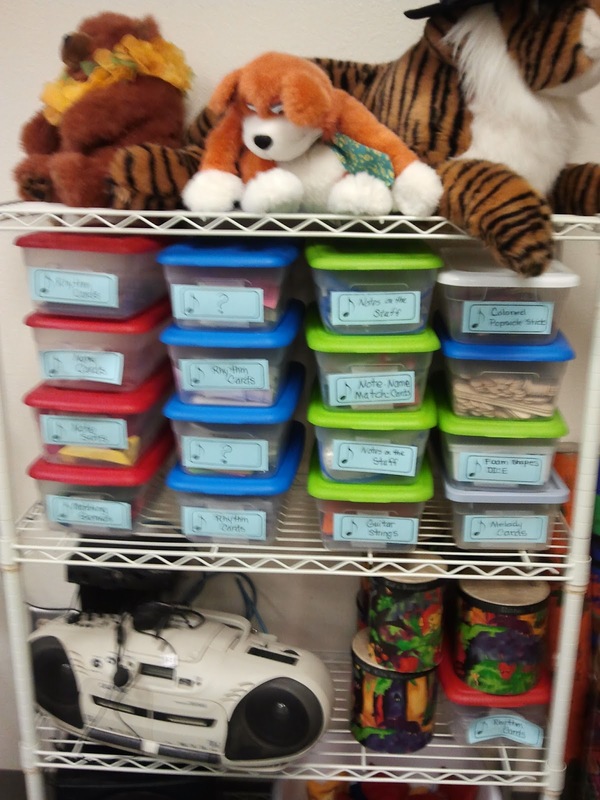 Managing monsters in the music room helps to keep teaching and learning music as the top priority in my classroom. Happy Halloween and here’s hoping you’re able to manage monsters in the music room this month! P.S. Here is another blog post on classroom management that you might enjoy. Just click on the graphic to access it. If you liked this post, please share it on your social media.